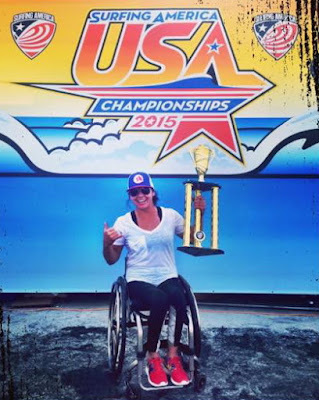 We all know Alana Nichols as a Paralympic basketball player and alpine skier. You’ve most certainly watched clips of her competing in the 2008 and 2012 Summer Games, as well as the 2010 and 2014 Winter Games. You may even recognize the 32-year-old New Mexico native from her awesome segment on “Conan” (https://www.youtube.com/watch?v=9hngHluQe2o). If you follow her on Facebook, then you are surely in awe of her daily adventures that span the world. But no matter how you’ve been introduced to Alana – be it via Internet or TV, or even in person -- then the only fact that matters is that you’ve somehow been in the presence of greatness. 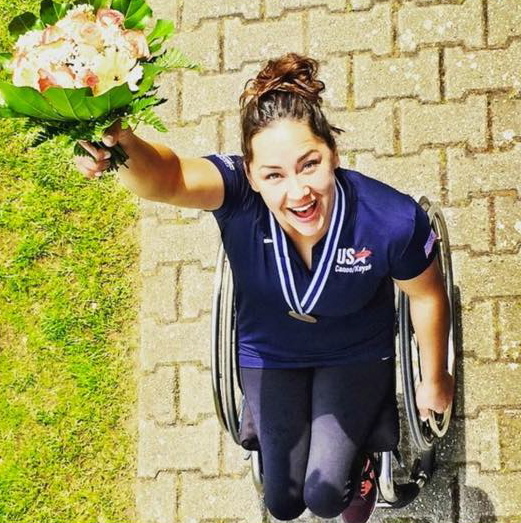 After all, Alana is the first American female athlete to win gold medals in both summer and winter Paralympic/Olympic Games. Alana is also a three-time ESPY Nominee. Moreover, in May of 2014, Alana was inducted into Warner Brothers’ “Superman Hall of Heroes” in the inaugural class of real-life heroes. Alana’s list of accomplishments goes beyond the highlights mentioned above, and yet Alana has more goals she plans on achieving. She now has her sights set on a couple of exciting water sports. 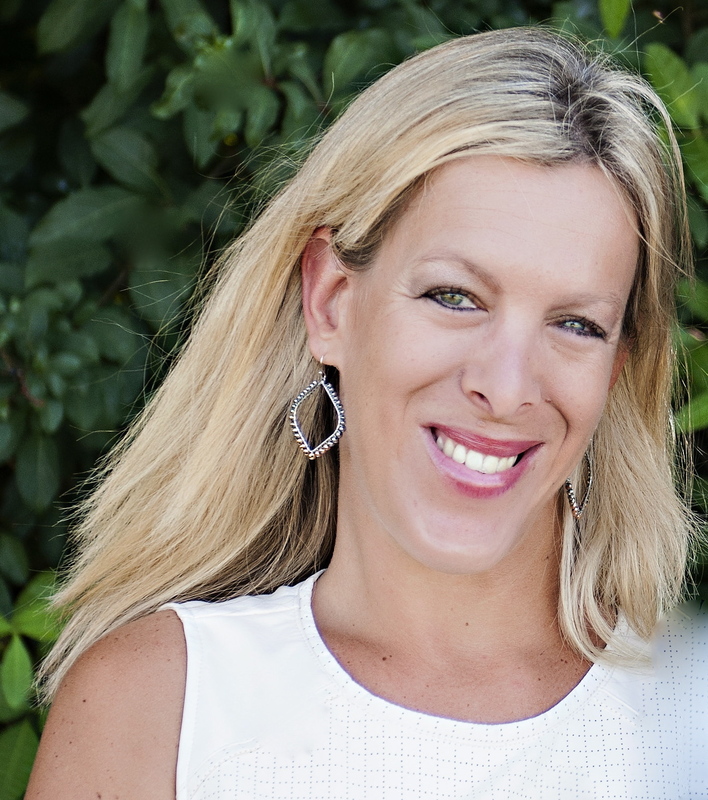 Eager to find out more about these endeavors, we caught up with Ms. Nichols to chat about her future. CP: We all know you as a Paralympic basketball player and alpine skier. What led you, most recently, to venture into the world of water sports? AN: After the Sochi 2014 Games, I was given the opportunity by one of my sponsors, Hilton HHonors, to take my grandmother to Hawaii. While I was there, I learned how to surf for the first time. After catching my first wave, I was hooked and couldn't look back! I knew I needed to find my way to the shore and on the water more often and then found the sport of Parakayak! 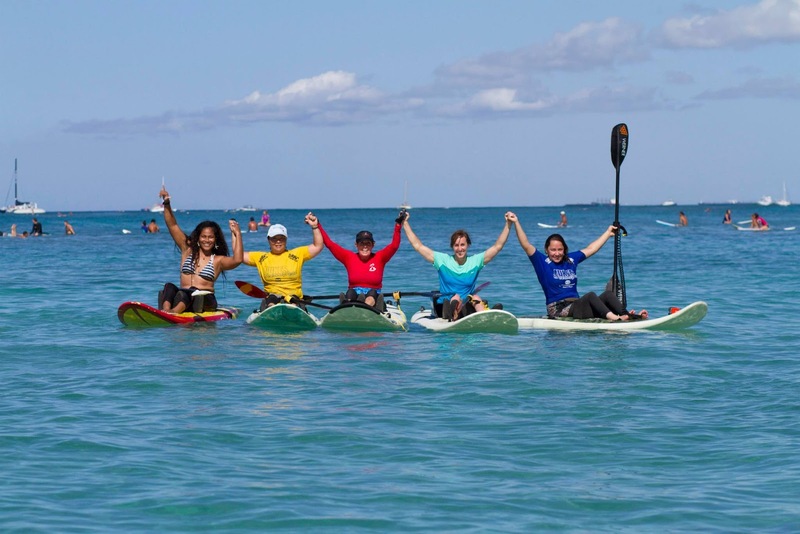 CP: Please describe for us what the following sports/activities entail for the “adventurer on wheels”: sprint kayaking; adaptive surfing/wave skiing; paddle boarding. AN: Sprint kayaking: You are going to need a boat and paddle and a little ingenuity for setting up a seat! 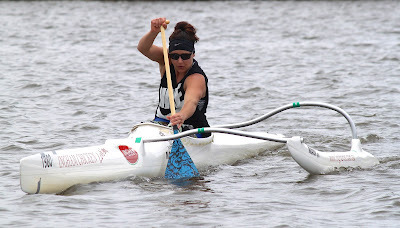 I use my mono ski/sit-skiing bucket in the sprint kayak, which has a velcro strap running across the hips. 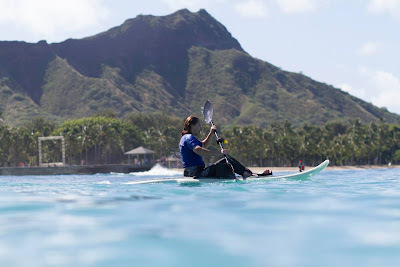 Adaptive Surfing: An "adventurer on wheels" is going to either need a prone surfboard (to lay on your stomach on) or what’s called a "Wave ski," which is what I use. The wave ski has a velcro "D"-ring strap attached to it that hold your hips down to the board as you paddle into and onto the waves with a kayak paddle. Surfing is more involved and I would highly recommend having able-bodied support in the water with you when you are first learning. Paddle Boarding: Paddle Boarding involves the same set up as a wave ski but on a different board and requires the use of a different paddle. CP: For those who have difficulty with dexterity and balance, what accommodations have you seen that help make these water sports a possibility? AN: Most quadriplegics do what’s called prone surfing, where they lay on the surf board and are either pushed into the wave or an able-bodied person can ride tandem with them. Also remember, where there is a will, there is a way. If a quad wanted to get on a paddle board, we can make it happen! There’s an amazing organization, for example, Life Rolls On (www.liferollson.org), dedicated to getting everyone out there! 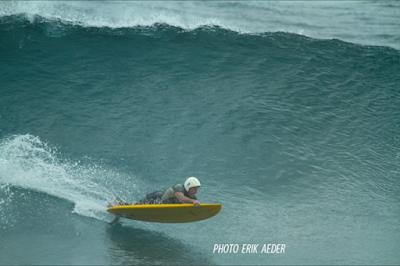 LFO’s founder is former pro surfer Jesse Billauer, who broke his neck and is now surfing prone. CP: Do you have a favorite of these water sports and, if so, why? AN: Surfing is absolutely my favorite! I am in love with “Momma Ocean” and how the waves are never the same…always changing, always creating! CP: Has there been a challenge that you didn't expect in this new world of sports? AN: I guess that I didn't realize how bad the salt water was going to be on my wheelchair! I have rusty front casters now, and I sound like a shopping cart. It’s so worth it, for the time being, but I will soon be getting a beach chair! CP: Has water sports, in your opinion and experience, become more available to wheelchair-users in recent years and, if so, how? AN: I think water sports are more accessible now because of awareness. More and more people are getting out in the water and showing others how it’s done. I think people are becoming more and more aware of what’s possible and getting more creative with how to get out there. CP: Do you have advice for those hesitant to try water sports? AN: The ocean is something to be revered and respected, but she is also loving and inviting. Learn how to swim!!! You can and will be confident in the water one day, and it can be so freeing! If you’re a para, you may consider getting a pair of wetsuit pants. These pants help your legs float, which is very important if you find your legs tend to sink. Also, if possible, get involved with the right group of people who can teach you how to be safe and strong in the water. Be resourceful and find something that works for you. CP: What resources/organizations/individuals helped you get involved? 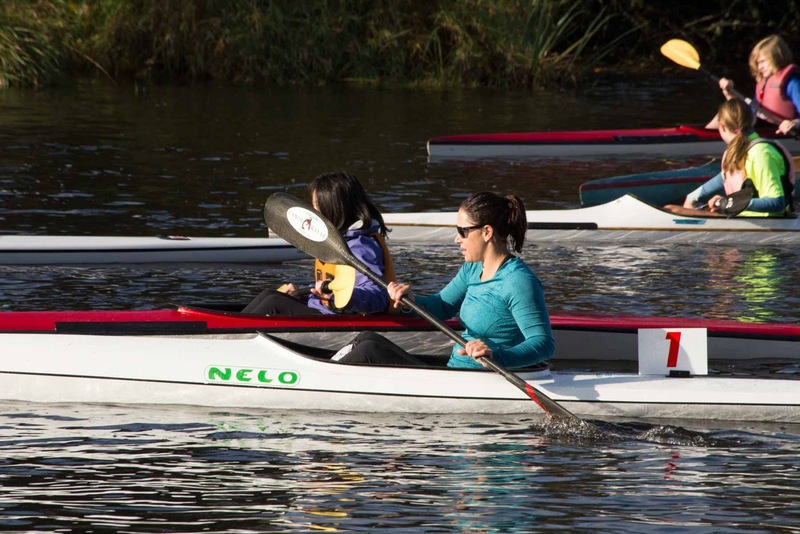 AN: The San Diego Canoe and Kayak Club is great for ParaKayak (www.sdckt.net). The Challenged Athletes Foundation based out of California is amazing for all sports, but also has a surfing clinic on Thursdays for wounded warriors and folks with disabilities (www.challengedathletes.org). AccesSurf based out of Honolulu, Hawaii is where I learned how to surf and has an amazing group of people (www.accessurf.org)! Another great organization with grants for all sports including water sports is the HighFives Foundation (www.highfivesfoundation.org). CP: Do you have a favorite body of water/destination? AN: My favorite body of water so far has to be the Pacific Ocean, specifically off the coast of the Hawaiian islands. I have yet to really travel the ocean, though….I dream of seeing some of the most amazing blue water in the world! CP: What are your plans for the future? AN: I hope to and dream of developing the sport of Adaptive Surfing. It’s such a passion of mine and I want to see more and more people with disabilities out in the water. I’m thrilled to announce that I'll be competing and making history in the first-ever World Adaptive Surfing Championship this September 24 -27 at La Jolla Shores! 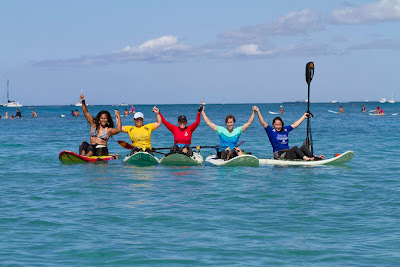 Check out the website for more details: https://www.isasurf.org/events/isa-world-adaptive-surfing-championship/. 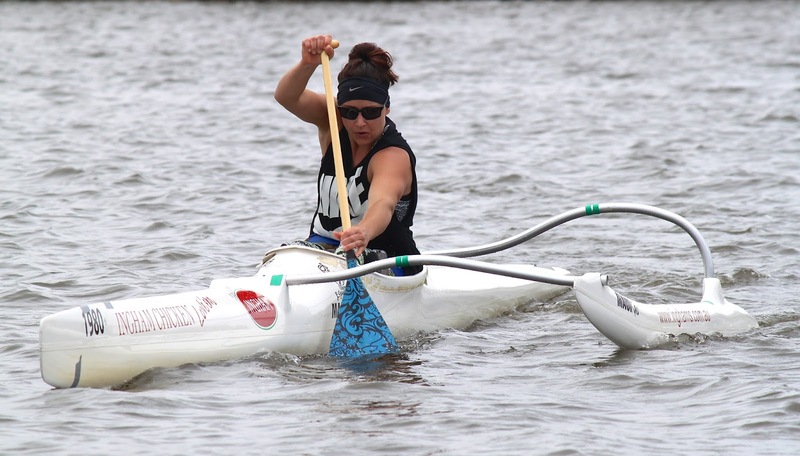 Regarding Sprint Kayaking, my hope and goal is to make it to the 2016 Rio De Janeiro Paralympic Games. AN: If you have any questions, please feel free to find me on FB, Instagram, and twitter and ask away! www.facebook.com/alanajanenichols, @alanathejane on instagram and @alananichols21 on twitter. Learn more about adaptive water sports in the video below...and you'll find me there too!